Australia unveiled on Monday a US$34 million plan to help bring its koala population back from the brink, following a rapid decline in the furry marsupial's fortunes. The Australian Koala Foundation estimates there may be as few as 43,000 koalas left in the wild, down from a population believed to number more than 10 million prior to European settlement of the continent in 1788. 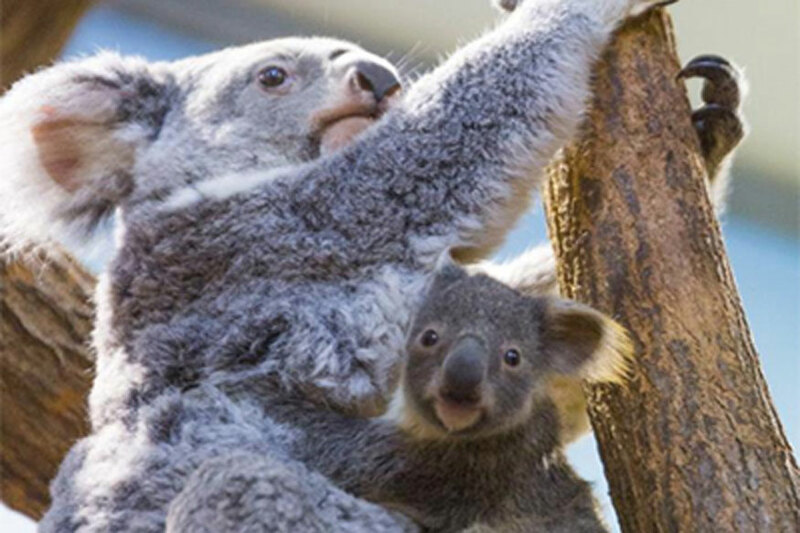 "Koalas are a national treasure," said Gladys Berejiklian, premier of New South Wales state, in announcing her government's conservation plan. "It would be such a shame if this nationally iconic marsupial did not have its future secured." Habitat loss, dog attacks, car strikes, climate change and disease have taken their toll on one of Australia's most recognisable animals. Studies show a 26 percent decline in the koala population in New South Wales over the last 15-20 years. The state lists the species as "vulnerable", while in other parts of the country they are effectively extinct. Under the Aus$45 million plan, thousands of hectares will be set aside to preserve the marsupial's natural habitat. Funds will be used to tackle diseases ravaging koala populations, including chlamydia -- which causes blindness, infertility and death in the species. Cash has also been earmarked for research, roadkill hotspot upgrades and a new hospital to care for sick and injured koalas. A hotline will also be set up to report koalas in trouble. The move follows an independent report in late 2016 that recommended a clearer strategy to deal with the population decline.